Once blank walls and alleyways, now vibrant murals. Join us for our first Arts edition and hear Michael Schwartz of the Tucson Arts Brigade and Camila Martins-Bekat of Tucson Electric Power tell the inside story of how a collaborative art project turned under appreciated spaces into larger than life reflections of our community’s richness and diversity. 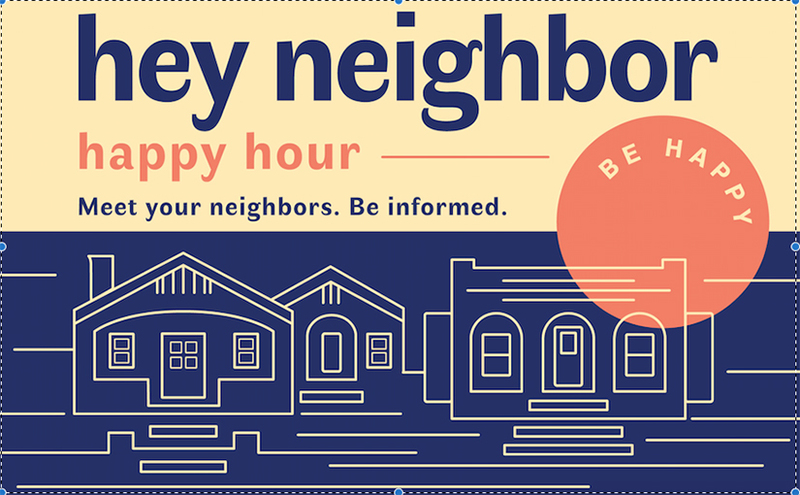 Hey Neighbor Happy Hour is a new, regular mixer at Exo Bar (companion to Exo Roast Co, the coffee shop). It’s an event series featuring hopeful stories of community building and placemaking from downtown Tucson’s neighborhoods.